With the New Year in full swing #sweetresolution I decided early on that I wanted to make a few changes to my eating habits. As someone who can't stick to a diet, because let's face it, food is delicious, and I have no place at the gym; I’ve been looking for simpler ways to improve my health. 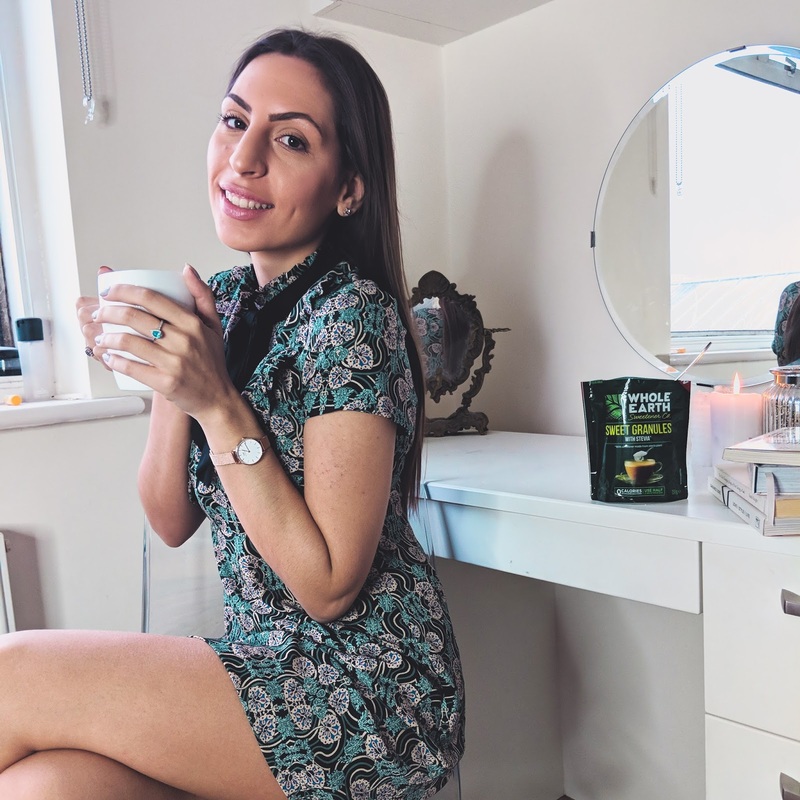 I knew that the best way for me was to make a few easy changes that I know I would be able to keep and that would help me stick to my new years resolutions without having to miss out on the things that I thoroughly enjoyed. It’s been almost a month now since I've swapped sugar for Whole Earth Sweetener and I haven't been able to notice the difference in terms of taste. 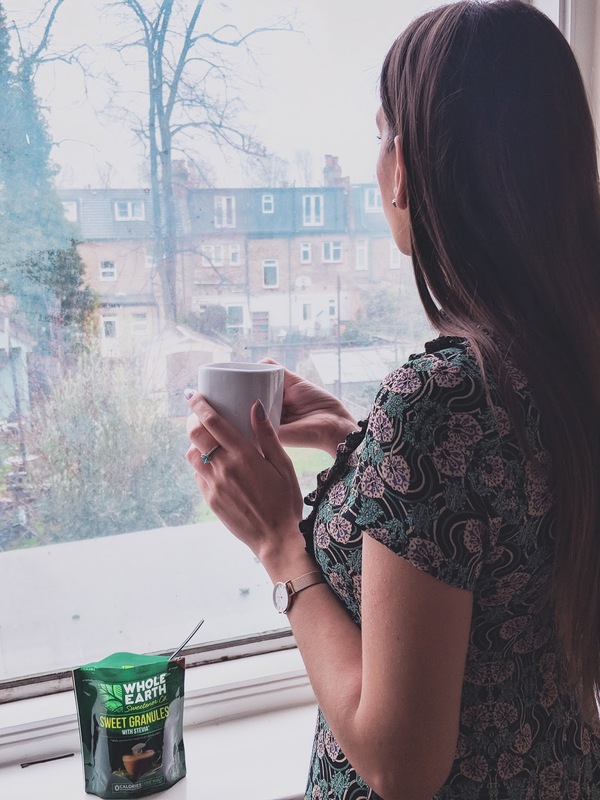 It's the same sweetness in my cups of peppermint tea, but without the calories and negative effects that regular sugar presents. By making one small change in my everyday life; (one that’s such a maintainable goal for the rest of the year) I've found myself convincing friends to make the same easy change. By doing this, I have been able to focus on my other goals and keep striving for greatness as the year progresses. Another of my favourite things to do is to swap sugar for Whole Earth Sweetener whilst baking. I made these brownies and served them up to my boyfriend over the weekend and he didn’t even realise that I had swapped one ingredient. To him, it tasted exactly as it usually does. 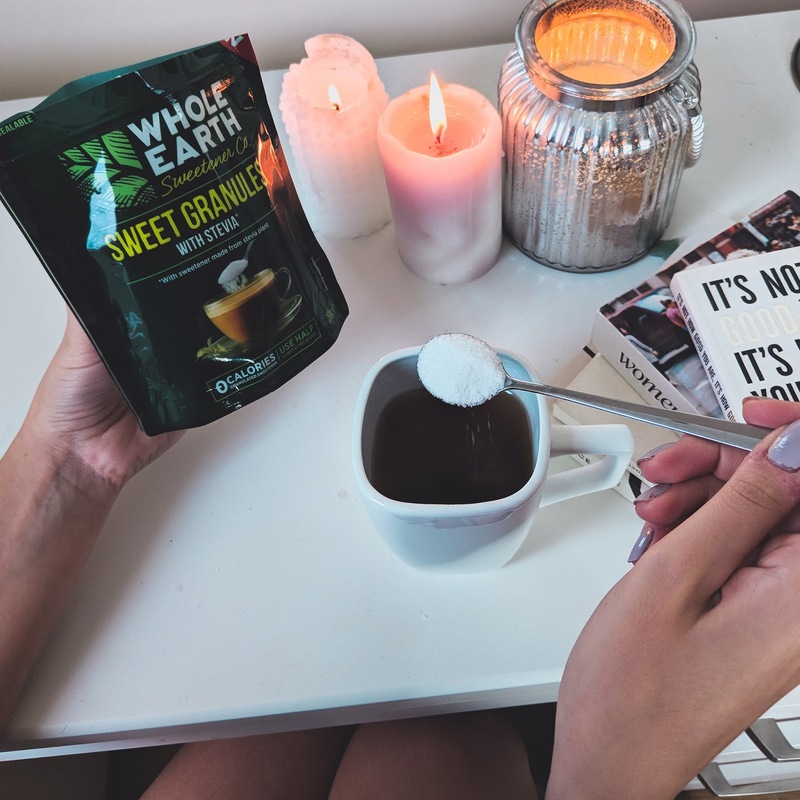 What's great is that only half a teaspoon of Whole Earth Sweetener is the equivalent to one teaspoon of regular sugar. 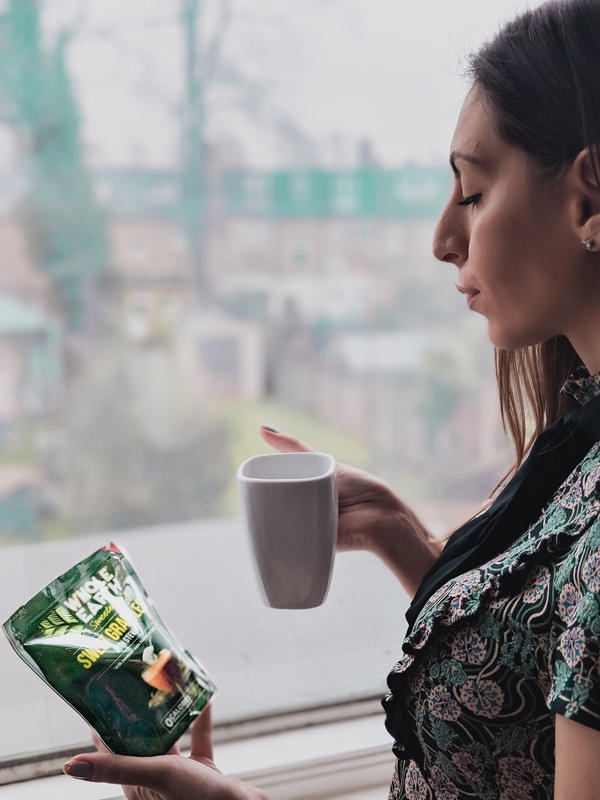 The entire range is derived from nature, so if you’re someone who is following a vegan or a plant-based diet, this is also a great alternative for you. The Whole Earth Sweetener has helped me maintain a balanced diet by allowing me to keep eating the things I loved before. In my head I know that I’ve made the swap and that overflows into other areas in my life, allowing me to make more beneficial decisions when it comes to my health and diet. 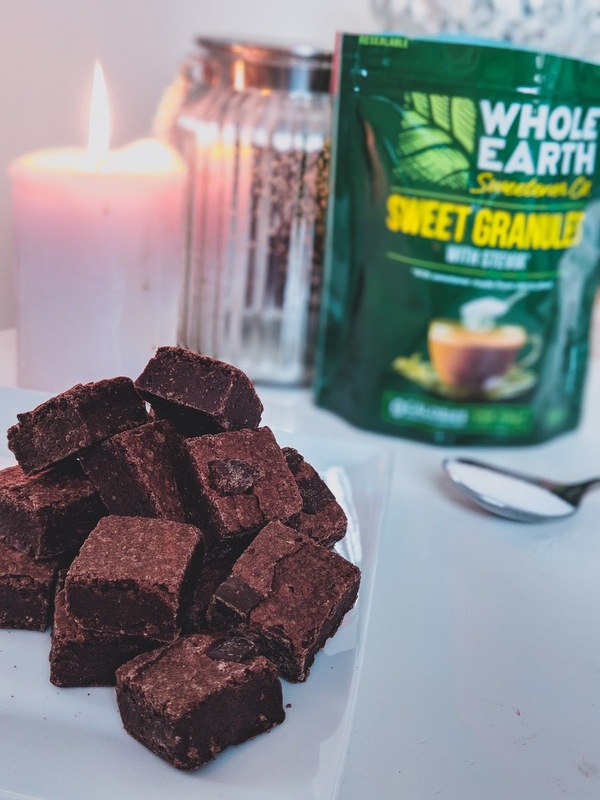 Recently launching in the UK you can find Whole Earth Sweeteners in Sainsbury's, Tesco, Waitrose and Coop. The range includes reduced calorie Sweet Granules, Sweet Mini Cubes, Honey & Stevia blend and Raw Cane Sugar & Stevia blend. Why not make the swap yourself?